Mr. Gauvin has worked at the Canadian Museum of History for over fourteen years in various capacities in the field of exhibitions development. He is now Director, Business Partnerships and Information Management, where he oversees the development of the Museum’s vision strategy for a national and international presence, an increased access to its resources as well as efficient information management. 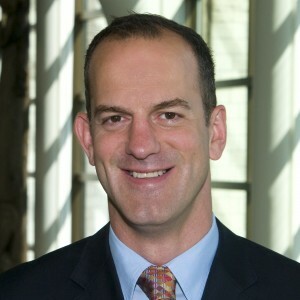 Nicolas Gauvin is currently Director, Business Partnerships and Information Management, Canadian Museum of History, where he oversees the development of the Museum’s vision strategy for a national and international presence, an increased access to its resources as well as efficient information management. He also leads and manages the negotiation on the Museum’s behalf for a diversity of partnership projects increasing professional collaboration with a variety of cultural institutions, including museums in Canada and abroad. Mr. Gauvin has worked at the Canadian Museum of History for over fourteen years in various capacities in the field of exhibitions development. Mr. Gauvin led the work for the planning stages of every temporary exhibition developed at the Museum since 2001 and he manages the Travelling Exhibition Service since 2009. In these roles he developed his skills in negotiating complex exhibitions protocols and collaborative projects. He is also leading the implementation of a new Research Centre which has the main objective to increase public access to collections and museological expertise, online and onsite. Mr. Gauvin holds a B.A. in art history, a graduate degree in museology and a master’s in history. He has completed Ph.D. studies in history (ABD), specializing on the representation of the Holocaust in national museums. He is an active member of several museums associations and has served two terms as Secretary for the International Committee for Exhibition Exchange (ICEE), from 2007 to 2013.